Stein's meets your special dietary needs: We offer a variety of fat-free, cream cheese. We also have an extensive menu of gluten-free foods! If you suffer from Celiac's, we delicious gluten-free foods to suit your needs. Stein's Bagels & Gourmet Deli features over 200 menu items made fresh using the finest ingredients available. No one does it like us. Everything is homemade on premises using unique, high-quality ingredients and techniques to ensure your complete satisfaction. 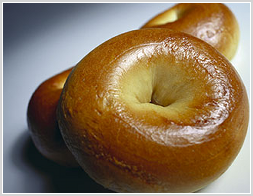 And, all of our bagels are even hand-rolled, boiled and baked every day. 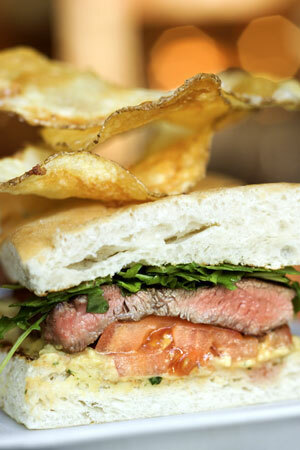 We offer different types of paninis. From grilled eggplant to buffalo chicken, we have the pressed sandwich that you've been craving. Contact us today to learn more about our delicious deli sandwiches, bagels and paninis.